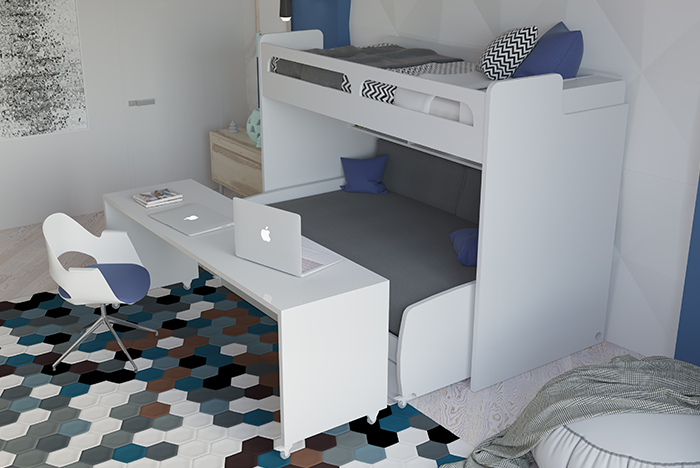 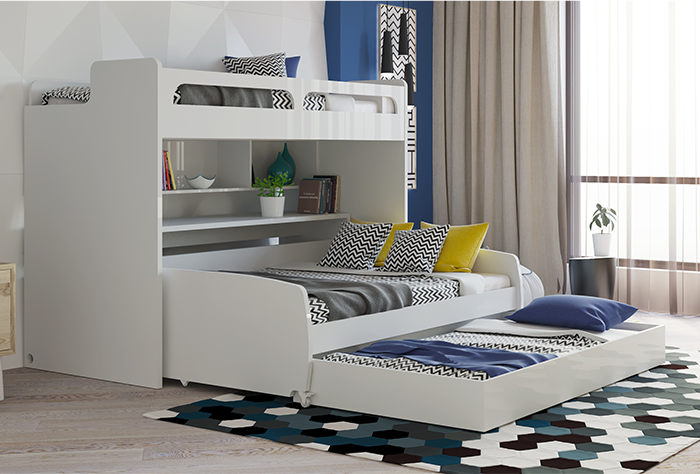 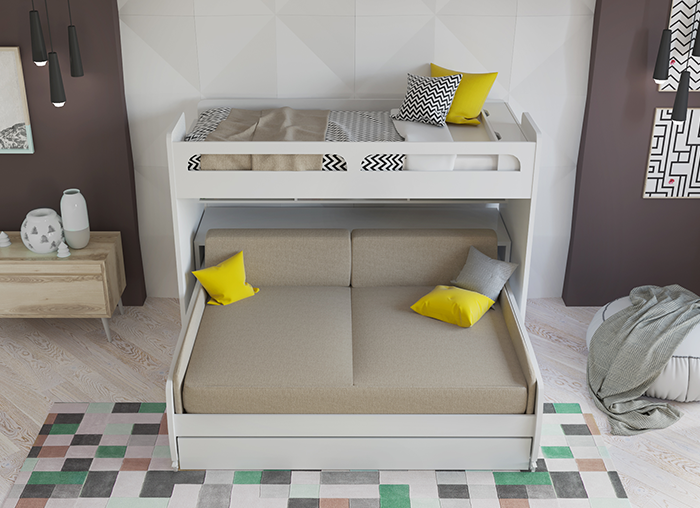 Sleepovers are a lot more fun with Bel Mondo XL bunk bed! Fun sleep space for kids and adults with tons of additional storage. 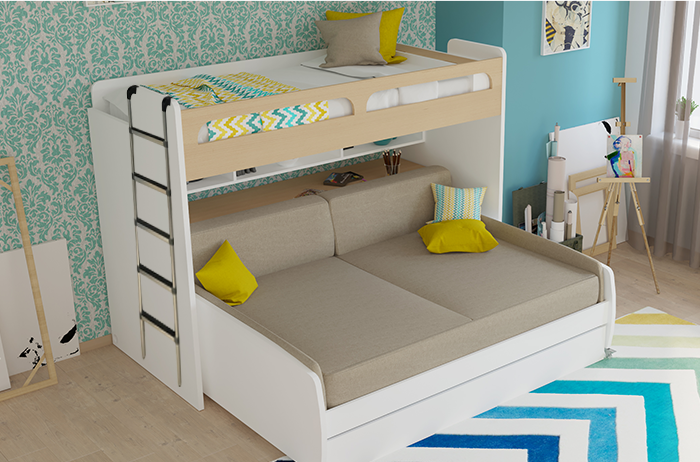 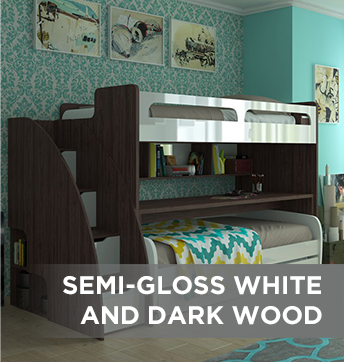 This 4 in 1 bunk bed is and ultimate space saver for a growing family. 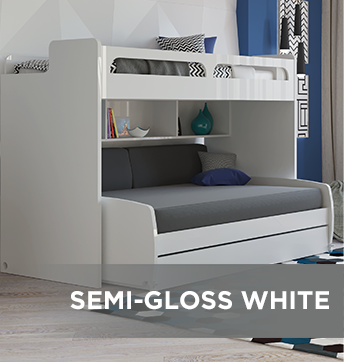 can accommodate a twin size mattress and a storage unit. 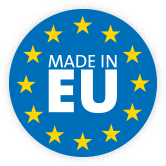 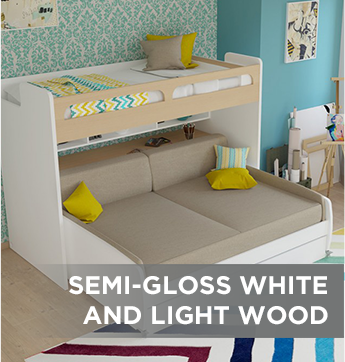 allows the top bunk bed to be fitted with twin XL size mattress. 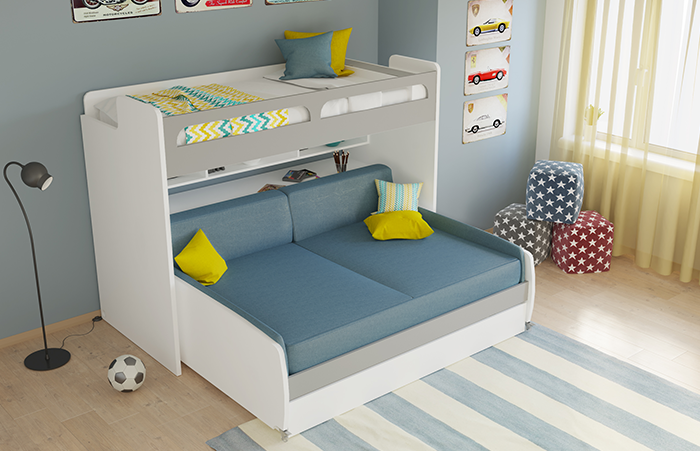 can be transformed into a sofa using optional mattress cover and back cushions set. 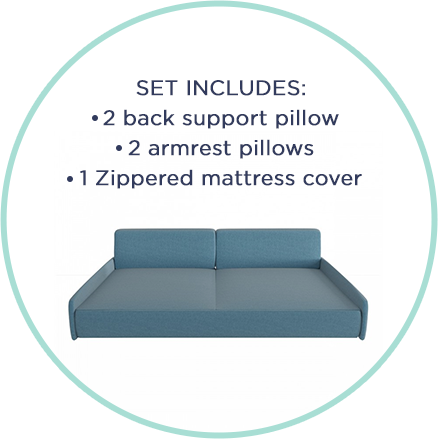 can also be used with a regular full size mattress.  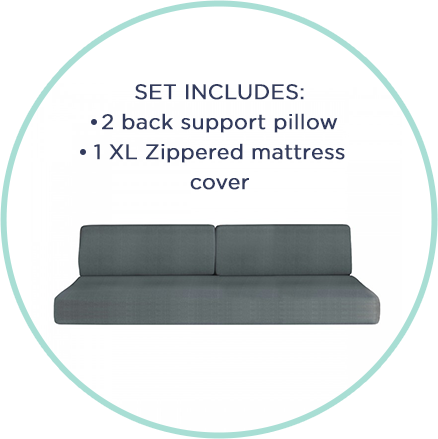 Choose optional full mattress cover, cushions and side pillow set for seamless fit. 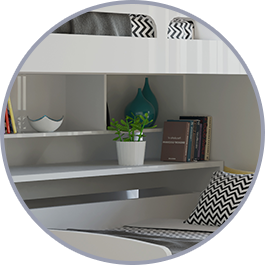 can be used to study, work or entertain. 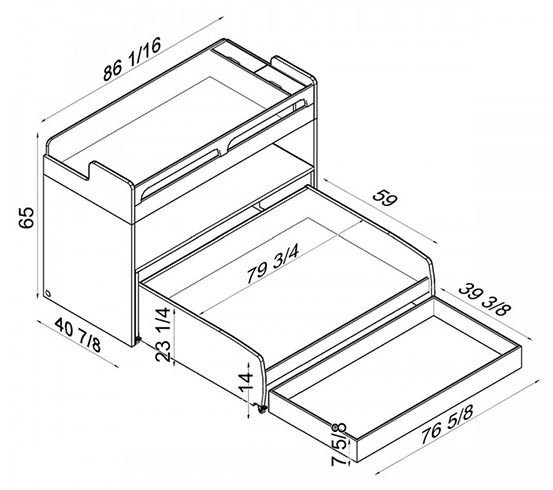 Can be rolled away and moved if needed. 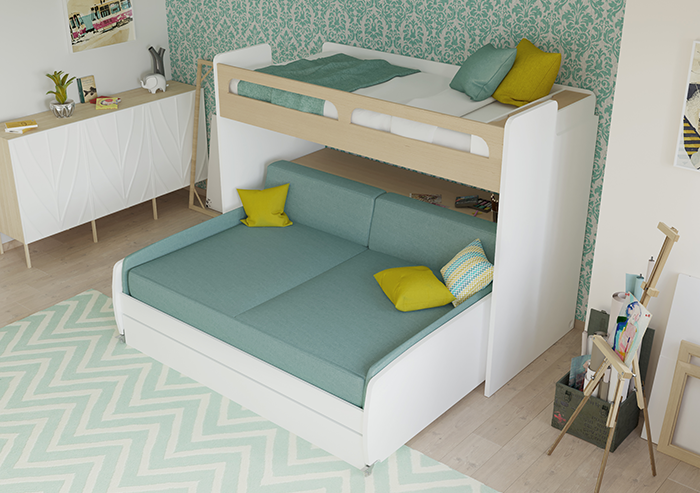 with optional cushions and mattress covers with zipper to protect your mattress. 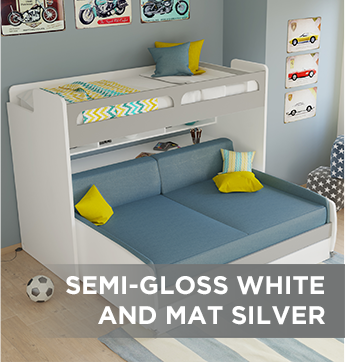 The bed comes with a sturdy metal ladder. 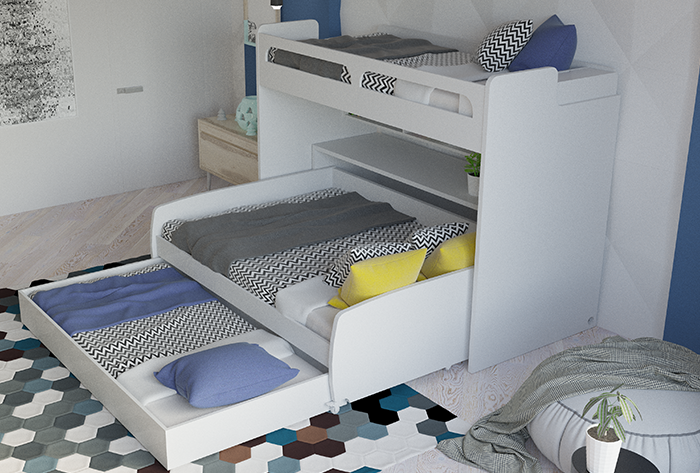  Add optional storage steps as shown for extra storage and easy access to the top bunk bed. 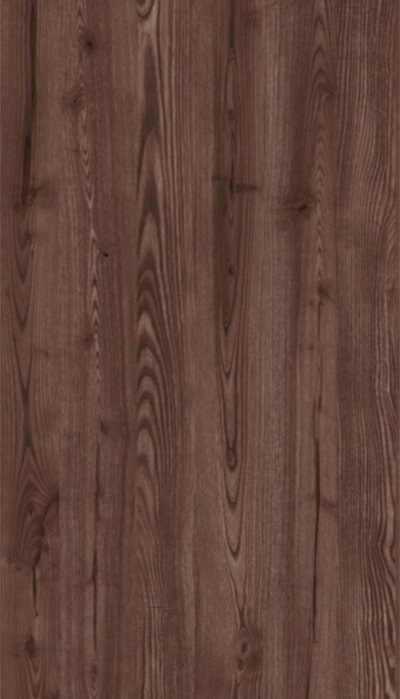 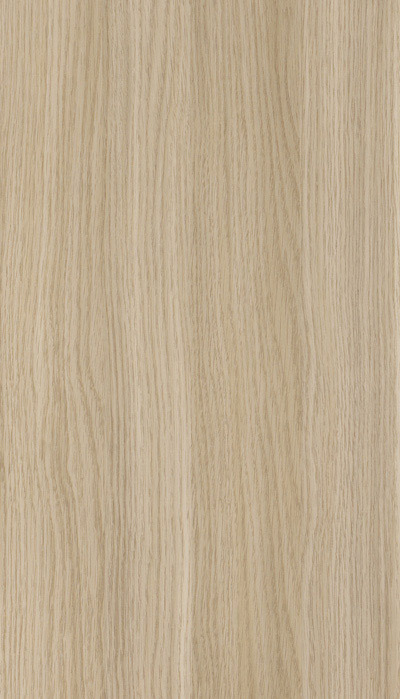 using thick particle board and high grade laminate. 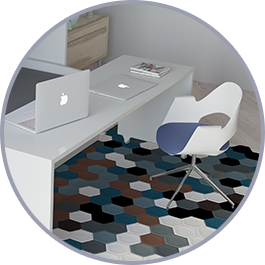 is equipped with commercial grade silicone wheels for easy operation, and for keeping even the most sensitive floors safe.